The white shape silhouetted against a blue background changes on every page. Is it a rabbit, a bird, an ice-cream cone, or just spilt milk? In this childhood classic, kids are kept guessing until the surprise ending, and they're encouraged to improvise similar games of their own. This classic was one of the first books to introduce nonrepresentational art to children. "Inimitable. Represents one of the finest picture-book examples of abstract art and participatory text. It is a renowned American classic that continues to engage young readers with its absolute graphic strength and verbal dialogue between craftsman and child" (Children's Book and Their Creators). Charles Shaw was discovered and nurtured by Margaret Wise Brown, his first editor. 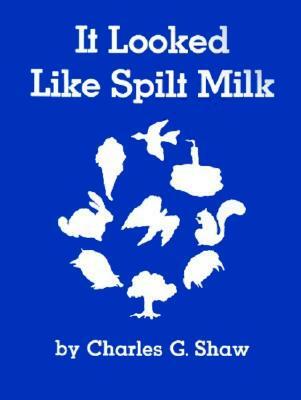 It Looked Like Spilt Milk was introduced at the same time as Brown's own Goodnight Moon and The Growing Tree from Ruth Krauss—three books that helped form the foundation of picture-book literature and continue to stand the test of time.